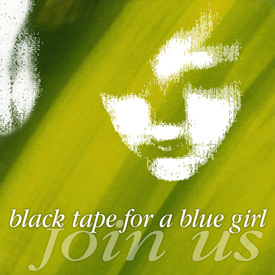 Electronic release from Projekt and black tape for a blue girl founder Sam Rosenthal. SAM. AGE: 40.88. MUSIC. DESIGN. SASHA. AGE: 3.71. COVER PHOTOGRAPHY. POD brings a new and chilling element to the ambient music genre known as drone. Inspired by the vast isolation of cold, dark space, the absence of human civilization, and the texture of pure sound, there is a curiosity and fascination with those forces that leads to discovery. 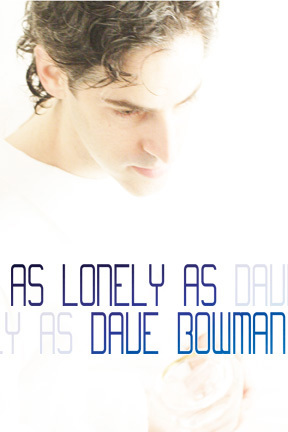 As Lonely as Dave Bowman becomes a pioneer in the next stage of ambient drone. With a chillingly isolated core of sound that detaches and draws back into itself like droplets of mercury, POD crafts a singular sound of metaphoric loneliness that is not just a strand that drifts through space but is an enveloping, permeating cloud. It travels in an infinite trajectory, exploring the realm of the unknown as if a breathing entity, expanding and contracting into eternity. It eventually evolves into a robotic drone, a swarm of emotion and memory. As Lonely as Dave Bowman is an electronic space music deep-ambient side-project from Sam Rosenthal, Projekt and black tape for a blue girl founder. The images came first. Sam’s young son Sasha took the photos one afternoon while playing with Sam’s camera. Noticing they were striking enough to be an album cover, Sam decided to create a musical world to compliment the amorphous look the photos captured. Inspired by Sasha’s love for the films 2001: A Space Odyssey and 2010: The Year We Make Contact, Sam worked in the studio in new and organic ways. Forsaking his usual melodic and lyrical approach to song-writing, he quickly developed musical pieces that are principally texture and spacial landscapes, created from a meaningful flow of synthetically produced loops and old-fashioned outboard effects. Is the limitless expanse of space outside the realm of the planet Earth a selective environment for life or is it a cold, dark vacuum that leaves only unimagined emptiness in its wake? Will long periods of separation from humanity support the explorer or will it birth a long, never-ending core of loneliness with tendrils that reach Earth, wrapping its inhabitants in despair and uncertainty? POD provides shape and essence to these philosophical questions that permeate our thinking selves with unanswerable possibilities. The sound ponders the moment and the eternity that extends beyond it, developing a continuous flow that goes on forever in swells and ebbs like an ocean of time. A flesh-made emotional construct: Sam Rosenthal is looking for primordial, hormonal reactions. From a dramaturgical point of view, Haywood Floyd should have been the main protagonist. He is the first character to be introduced, he presents us with the outlines of the plot and leads the story to its first climax. In stark contrast with almost anyone else in the movie, he actually has a few lines of dialogue. But when I think of 2001, all I see is a small white capsule marking time in space against a pitch black backdrop, the red dots and yellow lines reflecting on Dave Bowman’s helmet and that simple and startlingly short line: “Open the pod doors, Hal.” So, too, it appears, does Sam Rosenthal. As a first interpretation, POD is therefore his personal tribute to Kubrick’s seminal vision of space, as well as its decidedly less groundbreaking follow-up 2010: The Year We Make Contact. Just like the director’s masterstroke, the album is both to be seen as a visual and sonic work. Motivated by playfully and intuitively taken pictures of his young son, the cover artwork served as the initial stimulus for the compositions, which Rosenthal wanted to be equally free and without concrete associations. The natural consequence was to lay the emphasis on sound, not structure and to replace all notions of melody with a strict focus on dense, multilayered complexes of shifting harmonies. Drones are subsequently the beating heart of “Pod“, which sways between three basic mood poles: Fear/Desperation, Anger/Revolt and Calm/Majesty. Despite its recognisable character, though, POD finds a recognisable and idiosyncratic angle. This is mainly because the stoic development of his sustained tonal threads through subtle filter modulation is not that much of interest to Rosenthal. Instead, he is looking for primordial, hormonal reactions, for a situation which places the spectator in direct contact with the forces of nature, far away from the comforts of modern society. With this idea in mind, Dave Bowman is not a hero, nor necessarily a personality for easy identification. Just like almost everything else in 2001, he is a metaphor, a flesh-made emotional or intellectual construct, which, through gestures, expresses what can not be expressed in words. Similarly, the music relies on the force of suggestion. It uses dynamics and hardly noticeable changes in key as its main tools and as subliminal effects for unsettling the listener: Shining major chords dissolve into hollow and haunting minor moods, while aggressive ambiances give way to passages of great clarity and certainty. Vice versa, mellow sound baths always hold the potential to swell into threatening sonic jugulars with deep red blood pulsing underneath pale white skin. There is not much room for variation of this concept, but the reduced timbral palette and the restricted arrangements only serve to make the overall atmosphere more claustrophobic and mesmerising at the same time. Although each track adheres to this motif of a sonorous vacuum, the music is crafted with unique dispositions which incite different responses to this sense of immersion in infinity. The vacuum is not really devoid of substance; each song throbs with lush ambience and tantalizing harmonics. An impression of humanity is cleverly infused in these soundscapes, capturing the onset of isolation and the mind’s responses to that subjective solitude. This music was inspired by the musician’s son’s fascination with the films 2001: A Space Odyssey and 2010: the Year We Make Contact. “Dave Bowman” being the first film’s human protagonist. This creative intention proves wholly rewarding, as the music creates a milieu of vast emptiness that is far from empty, stimulating the psyche to fill in the gaps produced by the type of visceral isolation which accompanies the subject’s detachment from the rest of humanity. Sam Rosenthal sets aside his somber ethereal rock to meditate upon a sequence of deep space drones. When one considers Projekt Records’ ongoing love affair with ambient music, it shouldn’t come as much of a surprise to their faithful that the label’s captain, Sam Rosenthal, would try his own hand at it. Thus arrives As Lonely as Dave Bowman; named after the astronaut from 2001, this recording resonates somewhere between outer space solitude and the tranquility of Brian Eno’s ambient works. In regards to parsing out each piece as an individual song, it rather defeats the purpose of POD. Likewise, due to the mere nature of this abstract genre, one cannot take only a meager portion of a track as a sample. These “songs” should be considered like chapters in a novel, like Rosenthal’s audience-friendly way to allow his listener to skip ahead to certain movements within one solid work. As “One” hums to life, one feels as if they have been transported to HAL 9000’s space station home. Synths buzz long and fluid, wavering like chromatic smoke before the mesmerizing emptiness of space itself. Populated by only these lengthy ambient notes, silence’s role is just as crucial here as those fine humming threads. In comparison, “Two” is livelier than the previous entry. The synths rise in volume, their blue-hued hums warbling into a steady wall of soothing sound. Here, the silence only peaks through this woven hum-like night through a gossamer curtain. Though subtle, the synths wave and swell like the movements of a calm ocean, with just a slight touch of flange lending the whole a meager swirl. Halfway through, this din dissolves; the hums become a foreboding circular moan, and one feels as if they’re audience to the slow-motion float of an immense spacecraft (or obelisk, if you want to fit within the Bowman theme). The center segment, “Three” is the longest in this series, clocking in at nearly 20 minutes. While “Two” hinted at something sinister, this passage is mechanical as it is tranquil. One could compare it to being like a hologram of a solar system; planetary drones wobble by the listener as their orbit draws them close, then trail off towards a quiet distance as their rotation completes its cycle. While “Three” eventually gains some momentum, “Four” is a short journey back into Pod’s chilly shadows. The briefest segment, this seven-minute passage’s impression is quite subterranean. With its synths set to a somber moan, here Rosenthal paints in audio the feeling of being lost in an arctic cavern. Finally, there is “Five,” which acts as Pod’s casual crescendo. As “Four” fades away to nothingness, the disc’s conclusion quivers immediately into life. Trembling and ghostlike, it is like that finale in 2001 where Bowman crosses into the alien light. His journey ushered on by mammoth white waves of sound, it is like a moment of bright epiphany before this voyage curtails into the utter quiet. C’era una volta la musica cosmica, le psichedeliche esplorazioni di geni quali Tangerine Dream e Klaus Schulze. C’era poi la musica ambientale votata alle più ardite esplorazioni dell’inconscio di geni quali Harold Budd e Steve Roach. C’è oggi Sam Rosenthal, genio da vent’anni al timone degli abissali Black Tape For A Blue Girl, nonché fanatico cultore dei sopracitati pionieri ambient. Libero dalle pastoie liriche e gotiche del suo progetto principale, Sam dà vita a questa sua nuova incarnazione in assoluta solitudine, come ben esprime il nome mutuato dal protagonista di “2001: Odissea Nello Spazio”, lanciandosi senza remore in uno dei lavori ambient più profondi e affascinanti degli ultimi tempi. Non ci sono rumorini, pardon, field recording, a operare nel sottofondo, non ci sono soporiferi minimalismi nell’arte ambientale di Sam: la sua musica opera come di consueto a livelli di visionaria superiorità. “Pod” sembra essere l’opera che Rosenthal attendeva di fare da una vita, sin dai suoi esordi su cassetta, prima dei Black Tape, come “Before The Buildings Fell” (1986) e attraverso lo splendido “Terrace Of Memories” (1992) in combutta con un altro prezioso scultore di suoni come il belga Vidna Obmana. Ma solo ora, a 42 anni, Sam rilascia finalmente il suo primo lavoro solista vero e proprio, completo, compiuto, pensato e cesellato con tutta la calma e la consapevolezza necessarie. Attraverso i cinque movimenti che lo compongono, “Pod” si snoda come un monumentale viaggio di sintesi tra l’ambient “cosmica” dei pionieri tedeschi e quella interiore e psicologica di Roach, Budd, Eno… Monumentale, perché l’elettronica di Rosenthal conserva sempre la sua pittorica grandiosità, anche quando si muove nel gelo, nel vuoto, nell’asettica immensità dell’universo, sia esso quello esterno, infinito che quello interiore, più intimo e profondo. Buio in espansione attraverso stanze di cui non si vedono le pareti, suoni che riempiono gli spazi inesplorati del cosmo e della coscienza. “Pod” è il viaggio di un esploratore dell’esistenza, un poeta-filosofo privato della parola al cospetto di realtà e visioni indescrivibili, traducibili però attraverso i suoni concepiti da una sensibilità musicale fuori dal comune, che neppure una lunga e applaudita carriera ha ancora minimamente intaccato. Inspired by a photograph by a young child and the integral core of the Space Odyssey series (Kubrick/Hyams), the concept of As Lonely As Dave Bowman was birthed. In the film, the central character, Dave Bowman endured the deconstruction/reconstruction of life and philosophies, within his space travel. Within the period of time that the story unfolds, dramatic and profound occurrences enveloped the man, changing him in the process. POD takes that profundity and composes a soundtrack of many sides. In short, As Lonely As Dave Bowman becomes a story of its own. Ambient music is a miracle in many ways. It isn’t subservient to a chord or central riff. Instead, it is allowed to flow in many directions, creating vast empires of thought and imaginings. The emergent style of ambient music called drone is a repetitious flow of sound that changes subtly, oftentimes in several directions at once. Thus the power of drone music to change mood and create atmosphere is unmatched over the time span of the recording. As such, fans of ambient music are immersed in music that allows one the ability to absorb and transform. As Lonely As Dave Bowman is an album of soft, flowing musical ideas that move through time like a tether attached to a beginning. Just as Dave Bowman moved through the many points of his journeys, so are you attached to and absorbed by a contemplative and steady stream of core drone music that simply traverses space without a focal point. As Lonely As Dave Bowman is divided musically by 5 tracks, simply titled “One,” “Two,” “Three,” “Four,” and “Five.” However, those five tracks connect quite well over the course of the 65-minute album, never completely breaking off to pursue another sound, instead following the core all the way through. If you can imagine the immensity of the philosophical barrage that faced Dave Bowman over the course of the Space Odyssey films, as he was re-invented from his experiences, drowned in his loneliness, and swallowed by thoughts and spirituality that no man before him has experienced, then you get an idea of the immersive flow of As Lonely As Dave Bowman. Projekt prime minister Sam Rosenthal shucks his Black Tape for a Blue Girl goth melancholies for an equally forlorn side project of ambient/drone miasma. Actually, this is a most welcome return to “form,” as Rosenthal hasn’t been seen travelling down this road since his 1992 collaboration with Vidna Obmana under the moniker Terrace of Memories. That particular outing made much of sepulchral fog and post-industrial-blasted fug, but on this go-round, Rosenthal’s convinced space is the place. Well, the antecedents are obvious, from the 2001 iconography (Rosenthal states that the recording was inspired both by the titular film character and his infant son’s fascination with the film’s imagery, who also—quite precociously, I assume—accidentally captured the solar radiation flanges used for the digipak’s cover) to the work of numerous colleagues the artist champions on his label (Roach, the aforementioned Vidna). Sam Rosenthal’s As Lonely as Dave Bowman is quite unlike any of the rock-based music he has produced with his gothic band Black Tape for a Blue Girl. Unlike the sorrowful and sometimes vengeful songs that make up many of his BTFABG albums, this music takes the listener down a dark ambient path that is more contemplative and free-flowing. These five pieces are influenced by the films 2001: The Space Odyssey and 2010: The Year We Make Contact. The first piece is a slow moving drone that wraps you in a cold and comfortless embrace. You cannot escape this embrace once it has you in its arms. The stench of death and desolation that was once so far away from you is edging ever closer, touching your fingertips and and the roots of your hair. Your skin tingles and turns a sickly shade of pale grey; the sun that shines like gold suddenly hides behind frozen, black clouds. The clouds slowly begin to separate a bit on the second track, as we once again catch transient glimpses of the glittering orb that fade into a round, white moon. The sky grows darker, and the night breeze blows gently through the trees. At first, it is soft and inviting, like a lover who whispers your name in a sweet, mellow tone, then it begins to lie low in the grass, as if waiting to confront an old adversary. It cuts deep into your chest like screaming knives, and then you are left alone to bleed in the grass. They still continue to glisten like diamonds in a pool of water, but they now have come in contact with human’s suffering, and this suffering starts to extinguish their glow. They tremble now before the world. The music grows less intense as the stars burn out, one by one. I’m sure you’ve heard this “It sounds like being inside a…” metaphor used plenty of times before. It seems like the more amorphous and less structured a piece of music becomes, the more people reach for structural metaphors to pin it down. 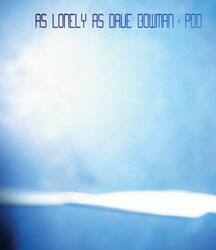 No doubt plenty of ambient musicians would describe their works as attempts to create a sort of space. I’ve been on a somewhat of an ambient music bender lately. I honestly don’t know how exactly how it happens, but sometimes I just end up focused on a particular type of music for some indeterminate length of time. In this case I think it’s related to my sudden decision to follow up on some particular artists and labels. I always find it difficult to explain just what draws me to specific ambient works; it’s not easy discussing music composed without melody, harmony, rhythm, or words. That leaves you with timbre and texture–not the easiest aspects to write about without resorting to extended metaphors or purple prose. If someone were to ask me what I think makes good ambient music, I’d most likely just say I know it when I hear it. Far away from the intimacy of Harold Budd there’s As Lonely As Dave Bowman, the new Sam Rosenthal ambient project. Pod is massive, humming, continuous sound. This music doesn’t want to hang around and fill in your empty spaces, it wants to become your entire space–a huge sphere of sound. But for that to work properly, you’re going to need to turn up the volume. This album does not function properly at low or moderate sound levels. Play it loud, though, and the machine expands and expands until it pushes everything else aside and becomes your reality. It’s not a quiet, meditative ambience, but it’s still a place where you can hide for a while.